We’re launching our book on November 17th, at 11.30 in the History department lounge, 4th floor of Paterson Hall. Drop by if you’re around! Finally, what does a book launch entail? I have no real idea. 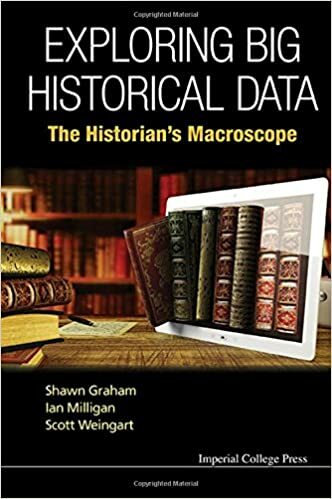 And so, what we’ve done is this – Shawn Anctil, who is one of our PhD students and doing very cool work in digital history himself (he sometimes blogs here) will moderate a round table discussion with myself, Ian Milligan, and Scott Weingart (Scott will be skyping in). We’ll field questions from those assembled and of course via twitter (use #hmbook as a tag). The round table conversation will last about an hour, and then Ian and I will give a bit of a digital history workshop. Our plan will be to focus on network analysis, so if this interests you, bring a laptop and have Gephi installed. Note that Gephi sometimes has Java issues – this will help. The workshop won’t be streamed, I think. Maybe it will. Really depends on whether I a) can get streaming to work and b) forget to turn it off again.